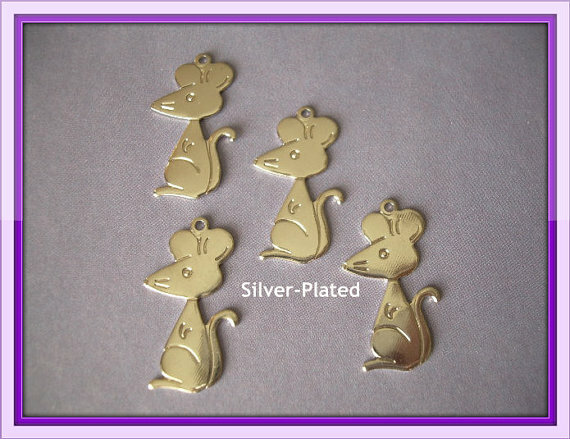 4 Adorable, and very showy, little Mouse Charms made of SilverPlated metal. MEASUREMENTS: 23mm (from top to bottom) by 13mm (across). QUANTITY: You will receive 4 charms.